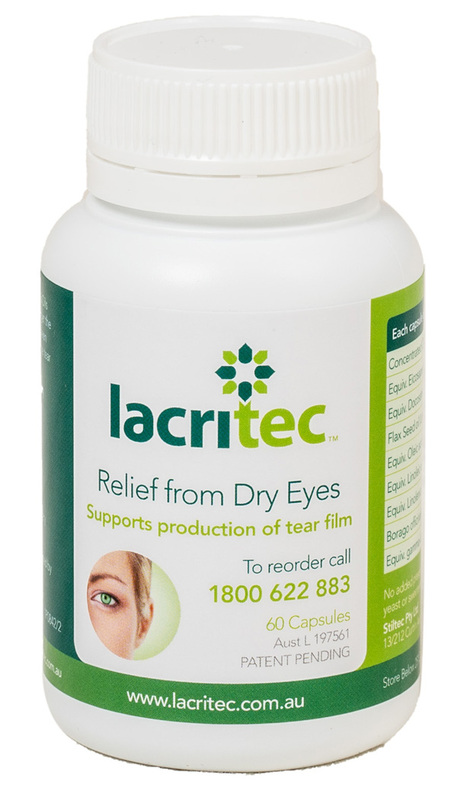 Lacritec is an innovative product that works from the inside out to provide continuous dry eye relief. Lacritec delivers a proprietary blend of omega fatty acids sourced from Flax Seed, Fish Oil and Borage Oil. This Australian developed, patented formulation works to support a healthy tear film and reduce inflammation. Dry eye treatment that provides continuous relief from dry eye discomfort. Unlike drops, works from the inside out to target the root causes of dry eye. Much more powerful than flaxseed oil or fish oil alone, also provides the unique omega fatty acid, GLA, from Borage Oil that cannot be easily obtained from diet alone. 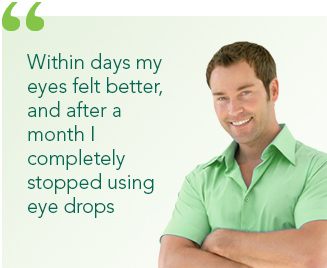 Offers uninterrupted dry eye relief with continued use; maximum results typically experienced within 30-60 days. May replace the need for eye drops for many patients.